Updates from IBC to the Introduction of September 2016 edition of FFDTimes (Full Frame and Digital Times). Full Frame was careening inexorably down the corridors of IBC like the stagecoach in the opening of The Hateful Eight. But a curious thing was afoot. IBC was packed with a plethora of Full Frame cine lenses. But there was a perplexing paucity of Full Frame cine cameras. Will they peacefully coexist? Yes. What’s going on here? Progress. Why was the cart before the horse? Full Frame is 24x36mm image area, the same worldwide standard familiar to still photographers since Oskar Barnack took 18x24mm (actually 18.66 x 24.89mm) format movie film and turned it sideways. We hear a lot about VistaVision, but at 25.7 x3 7.7mm, the whisker-width difference of the frame should hardly be sufficient to set anyone into a panic. The Canon C700 introduced at IBC is S35 16:9. Full Frame and S35 4:3 sensors seems to be in that camera’s upgradable future. RED 8K VV is slightly larger than Full Frame. (40.96 mm x 21.60 mm; 46.31 mm diagonal). It can be cropped to FF. 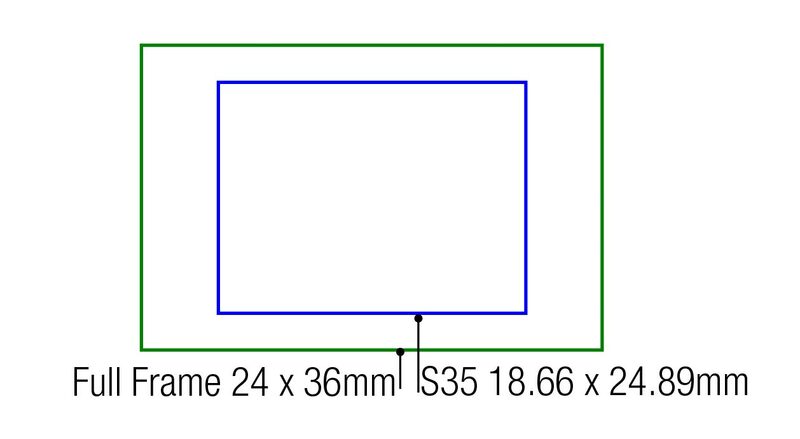 ARRI Alexa is Large Format (54.12 x 25.59mm; 59.87 mm diagonal. It also can be cropped to FF in post. Why is FFDT so obsessed with FF? The September cinematic triathalon begins with IBC in Amsterdam, races to Cinec and Oktoberfest in Munich, and finishes at Photokina in Cologne. With so much beer in sight and the conundrum of so many FF lenses and so few FF cameras, let’s consider a fluid analogy and examine the 6 million liters of beer that will flow at Oktoberfest. Most of it will be served in one-liter mugs. Hardly obsolete. The answer is in the Maß. It can be full, but doesn’t have to be. All those S35 lenses in your inventory are like beer mugs filled half way. The beer doesn’t spill and the lenses still fit. A 50mm S35 lens on a Full Frame camera is always a 50mm lens. The unused peripheral area beyond S35 is simply windowed in camera or cropped in post. And what about a Full Frame lens on all those S35 cameras? Better still. FF lenses are future-proof—fitting S35 and ready for the inevitable next wave of FF cameras. At IBC, we saw new FF Zooms from Angenieux, FF Zooms and Primes from Sigma, FF Leica M 0.8 lenses, additional Schneider Xenon FF primes, and ZEISS Milvus FF primes with ZEISS Lens Gears. They join the estimated 200 million FF still lenses and the existing inventory of successful FF cine lenses. ZEISS came out with the first FF Compact Primes in April 2009, and CP.2 lenses with interchangeable mounts in April 2010. The first ZEISS FF CZ.2 zoom arrived April 2012. Canon Cinema EOS FF primes came in mid 2013. In 2014, Sony had a 28-135 FF zoom for a7 and E-mount cameras. With all these choices, mounts are becoming agnostic. Therefore, almost every manufacturer is now fitting their lenses with interchangeable mounts: EF, F, PL, E-mount, and mounts not yet off the drawing boards. Cooke introduces Multi Mounts this month. Super35 is not going away. Canon C700 and Panasonic VariCam Pure are new S35 cine cameras. ARRI ships Alexa SXT and Sony’s ASX-R7 Recorder adds features for F5 and F55. ZEISS has a new, affordable S35 21-100 T2.9-3.9 zoom. Its ramping is “sneaky.” You don’t notice the aperture change when zooming in because it’s spread out over the entire zoom range. This keeps the lens light, small and affordable. Sony snuck in with their affordable S35 zoom: SEL PZ 18-110mm F4 G OSS. It’s an E-mount servo zoom with selectable Auto / Manual Focus and Optical SteadyShot (Image stabilization). Fujinon is shipping the affordable 20-120 T3.5. Affordable Angenieux Type EZ FF zooms convert to S35 by swapping the rear group. These new lenses address the big market for corporate, streaming, industrial, institutional and independent production that’s booming with a growth rate estimated at 30% per year. Will the high-end continue to flourish? That was an often-heard question at IBC. Yes, the aspirational high-end will always exist. I think of fashion and cars. Will there always be a high-end in fashion? In designer clothing? Expensive cars. Yes. With so many Full Frame lenses, and only a couple of cameras to accommodate them for high-end cinema, surely it’s only a matter of months before others will respond. Many filmmakers and Oktoberfest revelers share one common desire. They never saw a larger glass, larger sensor or larger format that they did not want to fill up. and there are also the new Tokina FF lenses..